Feniex Fusion™ lights stand out– they are the brightest and most versatile in the industry. 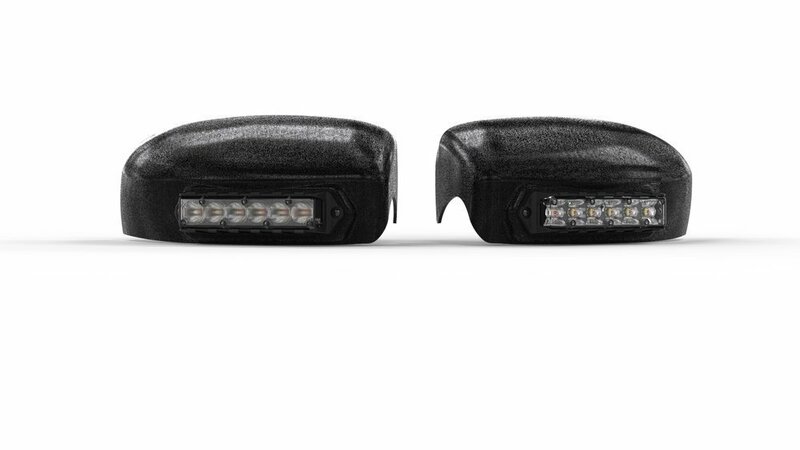 Fusion™ Mirror Mount LEDs are specially designed for the following vehicles: Chevrolet Tahoe, Ford Taurus, Dodge Charger, and Ford Explorer. Slim and low-profile, Fusion Mirror Mounts are uniquely angled to increase vehicle visibility, especially at intersections. Available in a wide variety of single or dual colors, select 40° light spread for long-range visbility or 180° light spread for wide-angle visibility.